APIn this 2014 file photo, Philippine crewmen gesture towards a Chinese Coast Guard ship as they block them from entering Second Thomas Shoal in the South China Sea. As Southeast Asian nations continue to be split on the tribunal award, Beijing has demonstrated its will to power and determination to defend its interests in the teeth of opposition. China sees the U.S. hand ubiquitous in the July 12 award by the Permanent Court of Arbitration on the Scarborough Shoal dispute in the South China Sea— first in instigating the litigation by the Philippines, then in fanning the flames of discontent among the countries of the Association of South East Asian Nations (ASEAN), and finally in securing its one-sided outcome. Chinese experts further allege that the five-member tribunal was tainted — selected by the President of the Court, Shunji Yanai, allegedly a right-wing, pro-Abe, and anti-Chinese national of Japan. China’s responses to the ruling might be the precursor to a new edition of a cold war. The Court ruled that China’s claims over the waters enclosed by the ‘Nine-Dash Line’ had no legal basis under the United Nations Convention on the Law of the Sea (UNCLOS), that China had no claim to historic rights to resources there, and that it had aggravated the dispute by building an artificial island on Mischief Reef, besides violating the Philippines’s sovereign rights within its Exclusive Economic Zone (EEZ), including its fisheries and petroleum exploitation. Entitlement to islands and the EEZ, the Court further held, must be based on natural conditions, and not as the result of artificial augmentation by building and reclaiming land. The arcane and abstruse world of the Military and Media landscape in India is under political and public scanner yet again following reports of reckless handling of the Kashmir violence that erupted after the killing of a Hizb-ul-Mujahidden youth leader, Burhan Wani. In an open letter to the dead militant, Major Gaurav Arya of the Indian Armed Forces heavily attacked the dubious intentions of the youth leader, stating any action by the army was totally called for. A young boy associated with the militant outfit was hunted down by the forces. This is a routine course of action and therefore there is no scope for the forces having gone haywire in their quest to establish peace and security in the valley putting an end to all apprehensions about the ever-increasing monstrous role of the Army in the Valley. 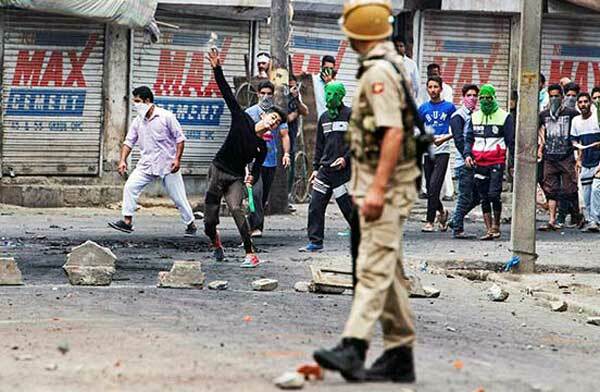 The controversial Armed Forces Special Powers Act ( AFSPA) and the Public Safety Act ( PSA) have created a new form of resentment against the forces in the eyes of the common people of the valley. These acts are under scanner for being draconian in nature. However, given the backdrop of the perpetual war like situation in Kashmir, it becomes necessary to analyse the currents and undercurrents in the changing dynamics of the media military relations in India especially in the context of peace keeping and conflict resolution in Kashmir. The India Stack – connecting bank accounts, unique ID numbers and mobile phones – will deliver massive productivity in services. Conventional wisdom for the future of India is that we must grow like China, Japan and South Korea. That we must build large companies creating thousands of jobs and exporting goods. I believe that domestic consumption, not exports, will drive India’s growth. The economy will be services-led and not manufacturing-led. Small businesses will lead rather than large corporations. Serendipitously, this condition has arisen at a time when the globalization trend is reversing. Jeffrey Immelt, CEO of General Electric recently noted, “Globalization is being attacked as never before.” He talks about how the whole era of globalization of the last 40 years is under threat. Protectionism is growing around the world. Brexit is the latest proof of the challenge. Countries no longer want to participate in global formations. Trade deals are slowing down. The WTO has not cut a deal in many years and the Trans-Pacific Partnership and Transatlantic Trade and Investment Partnership are stuck in all kinds of wrangling. Fundamentally, globalization is slowing. Value of global trade has come down in the last six to seven quarters. Data as tracked by The Economistshows global trade is falling. The Baltic Dry Index indicates a dramatic drop in freight prices, a proxy suggesting globalization is slowing down. India’s exports standing at $22.17 billion in June have slowed for the 18th consecutive month. In the meanwhile, a key component of delivering services, the mobile phone, is becoming the universal electronic product in everybody’s hands. India is selling 25 million smart phones per quarter and the anticipation is 700 million smart phones in hand by 2020. Internet penetration is growing. With 332 million internet users, India is now the second largest internet market ahead of the US. China has cast its covetous designs on India’s Andaman & Nicobar Islands evidenced by recent Chinese statements both in New Delhi and in China. Imperatives exist of fast-track securing of these strategic Islands. Media reports indicate that on April 19 2016 the Officiating Chinese Ambassador in New Delhi on conclusion of a presentation for Indian strategic and policy analysts on South China Sea at the Chinese Embassy made two significant remarks. Firstly, he asserted that if India were to support China on the South China Sea issue, then China may consider accommodating India on the McMahon Line issue. 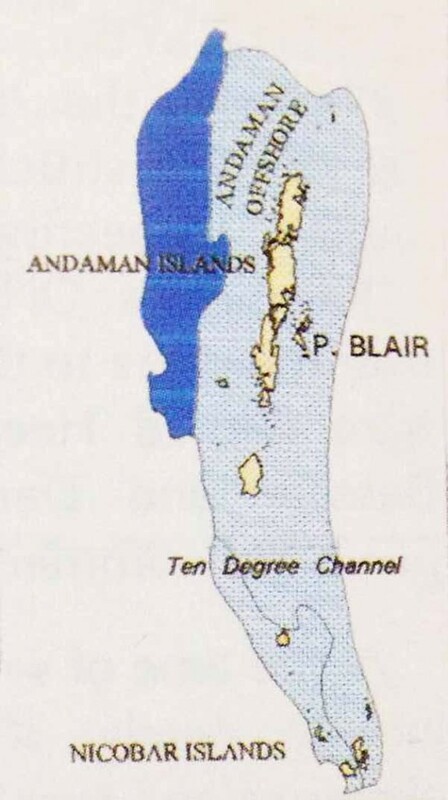 Secondly, and more significantly, the Officiating Chinese Ambassador remarked that “Someone in future may dispute the ownership of Andaman & Nicobar Islands”. In no mean coincidence, the same media report states that in May 2016 during a visit to China by some Indian think-tanks delegation, a similar assertion was made by the Chinese host that “In future, the Andaman & Nicobar Islands could be disputed by someone”. The above leads to the question as to who is this “someone” that China is referring to on two different occasions within the space of one month. Is China playing mind-games or should India take these assertions more seriously. Going by historical examples of past Chinese patterns of coveting Indian Territory in the pre-1962 period, India should not be dismissive of the present Chinese assertions. Also, it needs to be recorded that in the past some Chinese maps had shown these Islands as Chinese possessions, as per some media reports. Reports also exist of Chinese submarines and naval ships prowling around these Islands just outside the territorial limits. Is Kashmir a Disputed Territory? Post the elimination of Burhan Wani, the Indian security forces have been working overtime to bring the situation in the valley under control. Throughout the crises, Pakistan continued to stoke fires by comments from its top leadership including its army chief. The observance of a black day on 19th Jul only added fuel to the fire. Statements from Nawaz Sharif asking for plebiscite and waiting for Kashmir to become a part of Pakistan, showed desperation on their side. The threats and support emanating from banned militant leaders of LeT and HM drove a wedge deeper into the relations. Indian response has been as per predicted lines, calling on Pakistan to desist from interference, as also accusing Pakistan of sponsoring terrorism and committing genocide on its own populace. In Parliament as a part of the debate on Kashmir, the Home Minister directly accused Pakistan of fermenting the problem. It has always been known, not in India alone, but across the globe, that it is Pakistan which is behind the terrorism and violence which presently prevails in the valley and Afghanistan. Pakistan’s support to the Hurriyat and terrorist groups operating in Kashmir is well documented. The major question existing today is whether Kashmir is legally part of an Indo-Pak dispute and if so which part, J and K or POK and Gilgit-Baltistan. Four wars have been fought, but to no avail. In each case Pakistan has only lost and forced to concede. 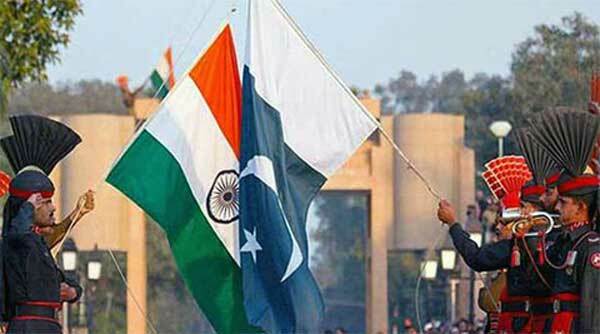 The border continues to be termed as an LOC and remains active with firing from both sides. Presently neither country has the military capability of taking back its claimed areas. In July 2016, Pakistan suddenly finds itself in India’s diplomatic cross hairs due to its political over-reach on Kashmir by Pakistan’s apex levels attempting to maximise Pakistan-generated unrest in Kashmir Valley. Pakistan currently has politically and militarily over-reached itself on Kashmir Valley unrest orchestrated by it. It even led Pakistani PM Nawaz Sharif to grandiosely assert that Kashmir would soon be part of Pakistan. While this assertion may be under Pakistan Army Chief’s pressures or domestic politics compulsions, the fact remains that the Pakistani establishment has miscalculated India’s responses on this issue. While no one can blame the Bharatiya Janata Party (BJP) for every communal or anti-Dalit incident, as the party with the most to lose from negative perceptions, the BJP has no one to blame but itself for consistently losing the perceptions war. It will be a minor miracle if the BJP emerges politically undamaged by the rising tide of Dalit resentment and resistance to discrimination and oppression. It is not as if the oppression is a post-May 2014 phenomenon or even that the BJP is substantially responsible for recent incidents of anti-Dalit violence. Many caste-based regional parties have been as guilty as the BJP on this score. Even Dalits who converted to Islam and Christianity have complained of discrimination. But the fact that Dalit oppression is not a BJP-specific malaise is no guarantee that it will not be blamed for it. In terms of perception, it will always be Suspect No.1 in any incident involving Dalit violence for the simple reason that, as a Hindu party, it will be presumed to have caste biases embedded in its DNA. The same presumption will hold in any case of communal violence too. The party has not helped itself by appearing like a deer caught in the headlights, frozen into inaction every time a cow activist attacks a Dalit or a Muslim. Or when a Rohit Vemula commits suicide. When perception politics works against the BJP, doing nothing or saying “the law will take its own course” is not an option. It has to both say and do something meaningful to distance itself from wrongdoing. But this is not happening, much to the delight of its political opponents. It is too early to say whether Prime Minister Narendra Modi’s West Asia and North Africa outreach is fructifying as an encirclement strategy against Pakistan, but the Right-wing head of Government has pro-actively attempted on something that no one else has done in recent memory. To counter Pakistan’s military-industrial complex and its interventionist heft in the Kashmir valley, Modi and the Indian deep state have realised that the gridiron that supports Pakistan has to be dismantled. So, from the Saudis to the United Arab Emirates to Qatar to Kuwait and even Iran, Modi has actively engaged with these nations to wean them away from Pakistan. Malaysian diplomat Dennis Ignatius sums up the new danger, “A version which breeds contempt, hatred, intolerance and suspicion of other faiths, other cultures and systems of Government. It is a worldview that’s premised upon an existential struggle between Islam and the rest of the world where there’s no room for compromise or accommodation.” This narrow interpretation is driving political Islam and influencing youths to take up arms. Pakistan’s brutalised psyche, still tormented by the ghosts of the 1971 vivisection of east Pakistan, continues to pursue its toxic ideological doctrine of asymmetrical warfare in Kashmir. In today’s world, air supremacy plays a vital role in achieving Military Objectives. The Pakistan Military has always been mindful of its meager resources and preferred quality over quantity. The Pakistan Air Force is considered one of the best in the world due to its qualitative selection and professional excellence. The maintenance of this equilibrium depends on the continuous upgrading of its fleet. The Pakistan Air Force currently operates a fighter force comprising F-16s, Dassault Mirage IIIs and 5s, Chengdu F-7s, and JF-17s. F-16s, with their tactical nuclear delivery capabilities, play a particularly important role for Pakistan in bolstering its conventional abilities against India. The Indian lobby is trying to isolate Pakistan within Washington’s power corridors, which may jeopardize the sale of more F16 to Pakistan. If so, Pakistan should seek to purchase Sukhoi Su-35 fighter jets that are far more advanced than the F-16s. The Russian-made jets could be a great asset for Pakistan Air Force. The general comparison between the Russia’s Su-35 Fighter and America’s F-16 Fighting Falcon shows that with properly trained pilots and support from ground controllers or AWACs, the Su-35 is an extremely formidable threat to Western Aircraft. Ethnicity remains Afghanistan's deepest fault line. On Saturday, thousands of ethnic Hazaras rallied in Kabul to press for an electricity transmission line to be routed through their heartland (Hazarajat) in central Afghanistan. Months of tensions had led up to the protest—the second since May. The protestors were met by two suicide bombers, purportedly from the local affiliate of the so-called Islamic State (ISIS), known as the “Khurasan Province” (IS-Khurasan). At least eighty people were killed in the dual blasts. Given Afghanistan’s unique sociohistorical context, the attack claimed by IS-Khurasan elevates the danger not of sectarian conflict, but of ethnic conflict and the collapse of the power sharing agreement in Kabul. The Syrian War Comes Home? IS-Khurasan stated that it attacked the Hazaras because of their involvement in the war in Syria. Most, but not all Hazaras are Shia Muslims, and they constitute a vast majority of the Shias from Afghanistan and Pakistan recruited by Iran to fight on behalf of the al-Asad regime in Syria. Their involvement in Syria is billed as part of the defense of the holy sites revered in particular by Shia Muslims. In reality, however, what began with a few hundred Shias from Afghanistan and Pakistan defending holy sites has mushroomed into a division-size force fighting as part of the Liwa Fatemiyoun. Hundreds of these Shia fighters have been given sniper training by Hezbollah. Recruited by the Islamic Revolutionary Guards Corps (IRGC), the Hazara Shias have been used by Iran to make up for heavy losses on the battlefield. While IS poses a compelling threat to holy sites revered especially by Shias, the involvement of Hazara Shias in Syria’s sectarian war puts their own community back home in greater danger. A Sunni nuclear axis with Turkey and Saudi Arabia might soon be a reality. And Pakistan would be at its forefront. A few days ago, driving through Almelo, it occurred to me that this rather nondescript town in the eastern Netherlands is the unwitting source of much of the nuclear proliferation activity in the world today. It is from the Urenco plant nearby that the Pakistani nuclear broker/salesman Abdul Qadeer Khan, the so-called Father of the Islamic Bomb, stole the blueprints that allowed his country to start its nuclear programme. Over the next decades, he sold, attempted to sell, and pretended to sell to North Korea, Libya, Iraq, Iran and even apparently to Myanmar. AQ Khan’s legacy of nuclear pilferage and proliferation is about to expand and coalesce into what will eventually become a Sunni nuclear axis with Turkey, Saudi Arabia and Pakistan at its pinnacle. A perfect storm of isolation and resentment is building up in these three countries, and their conspiracy-minded populations. Turkey, after the failed coup does not look like a country where a coup has failed. Everything except the government is being overturned, including democratic traditions. In Saudi Arabia, which has been facing a hostile global press and major economic challenges for many years now, the regime is re-evaluating its traditional alliances with the West - at a time when, in the West itself, a political churn is bringing up leaders for whom business as usual is no longer attractive. Pakistan finds itself isolated as never before in its seven-decade history as a country. These realities are not likely to change anytime soon. Neighbouring all three is Shiite Iran, which is rebuilding a normal relationship with all major powers after decades of US-imposed and enforced isolation; and it is doing so with persistence, largely on its terms. Tehran’s claim that it has no ambitions to weaponise its nuclear program is now validated by its agreement with the nuclear powers. This is not believed by its Sunni neighbours. The reality is that Iran’s domestic nuclear endeavour now has global legitimacy. (FPRI) — If China had a vote in the US presidential election, would it cast its ballot for Hillary Clinton or Donald Trump? The question is both provocative and not reliably answerable, and it has become more resonant amid reports that Russian government hackers, possibly seeking to help Trump’s candidacy, were behind the Wikileak of Democratic National Committee emails that brought down Democratic National Committee Chair Debbie Wasserman Schultz and rattled fragile Democratic Party unity on the eve of the convention. Ordinarily, China’s preference is unquestionably for continuity in power of the incumbent party (and, where possible, the incumbent president) in the United States. But, in China as in the United States, 2016 may be no ordinary year. Does China share the alleged proclivities of the leader of its fellow authoritarian neighbor to the north and incipient partner in some aspects of global affairs? Very likely not. Are we seeing with Trump in authoritarian China in 2016 a strange echo of what we saw with Obama in liberal Europe in 2008—a US presidential candidate locked in a seemingly close race at home who enjoys strikingly stronger support in a foreign region that is vital to US interests? Almost certainly not. But, in this election, China does seem less unambivalently or uniformly opposed than usual to the possibility of a win by the out-of-power party’s candidate. Why would the notion of a victory by the non-incumbent party’s candidate be less clearly unwelcome to China—and, particularly, to relevant Chinese elites—than in other election cycles? Why would this be so when the possibility of a Trump presidency is unusually and profoundly alarming to many Americans, including, especially, many of those Chinese elites’ US counterparts? Why would this be the case when the candidate in question has been, at times, highly critical of China, subjecting Beijing—particularly on trade issues that long have been a major focus of China’s US policy—to a dose of the invective he frequently directs toward perceived enemies and rivals? What is China’s Military Modernization all about? The results of the First Gulf War in 1991 had been an unpleasant jolt. Chinese military experts had confidently predicted heavy going for the American-led coalition against the battle-tested, Soviet equipped Iraqi armed forces. It was clear that the People’s Liberation Army was falling behind world military standards. For nearly thirty years, China has been on a military research tear, pouring enormous sums of money into weapons research and development. The arms embargo placed on the country after the 1989 Tiananmen Square massacre put a halt to arms technology transfers, and suddenly Beijing was on its own. The disintegration of the Former Soviet Union in 1991 came as a blessing for the PRC (People’s Republic of China). A year after the collapse of the Soviet Union in 1991, a cash-strapped Kremlin began selling China a chunk of its vast military arsenal, including the pride of the Russian air force, the Sukhoi-27 fighter jets (including its license for manufacturing), IL-76 planes, S-300, TOR-M1 air-defense missile systems, Kilo-class submarines, new generation Russian-made tanks and artillery units, worth $20 billion to $30 billion dollars. In the end, at a summit in Vientiane, Laos, the 10-nation Association of Southeast Asian Nations (ASEAN) and China finally settled for that household mantra – “defusing tensions”. They agreed to stop sending people to currently uninhabited “islands, reefs, shoals, cays, and other features” after ASEAN declared itself worried about land reclamation and “escalations of activities in the area”. And all this without even naming China – or referring to the ruling in The Hague. Arab League Secretary-General Nabil Elaraby (R) shakes hands with China's Foreign Minister Wang Yi as Qatar's Foreign Minister Sheikh Mohammed bin Abdulrahman Al-Thani stands between them after signing documents during a ministerial meeting of China-Arab States Cooperation Forum in Doha, Qatar May 12, 2016. The psychology behind global support for China’s South China Sea position: a desire to avoid war. The South China Sea arbitration case has elicited almost unanimous public opposition in China. Besides this, it has been reported that 66 countries worldwide have endorsed China’s position on the South China Sea. Yet that figure also caused controversy, especially in the United States. According to our team’s research, we have found at least 70 countries supporting China’s position on various occasions. We find that the reason for the controversy over the figure comes down to different definitions on “China’s position.” But no matter how it is defined, the psychology behind these statements is a desire to avoid taking sides between China and the United States, showing the reality of a fundamental global consensus on peace and wide-spread anxiety toward the potential for conflict in the South China Sea. Thus, we should take every opportunity to go beyond the “zero-sum game” in order to maintain peace in the South China Sea, to seek Asia-Pacific economic cooperation, and to make the “cake” bigger using economic and financial means. How many countries support China’s South China Sea position? ISIS has adapted its approach in the digital space to resist efforts aimed at disrupting and restricting its use of the internet, some experts say. A new report, made public today, details the items in ISIS's digital toolbox that the group uses to resist these disruptive attempts. The report, titled “Tech for Jihad: Dissecting Jihadists’ Digital Toolbox” and released by Flashpoint, an intelligence firm, notes that while “most communication platforms lack the sophistication necessary to ensure sufficient security … today’s jihadists constantly seek alternative ways to advance their agendas and communicate securely.” The report explains 36 of the most noteworthy tools and technologies leveraged by groups such as ISIS conducted by examining primary sources from the Deep and Dark Web. Most of the technologies, the report notes, have been used long before ISIS developed a public presence. Jihadist organizations, according to the report, utilize encryption to protect their communications on a variety of platforms and services that include web browsers, email services, mobile devices and mobile applications. While many use traditional browsers such as Chrome, Firefox and Safari, these services are not secure. “Jihadists enact stringent online security measures starting with the World Wide Web’s most fundamental portal: browsers,” the report said. “[T]ech-savvy jihadists are increasingly turning to highly-secure, alternative browsers such as Tor Browser and Opera Browser, so they can operate online more clandestinely without easily divulging their IP address and risking third-party surveillance.” They also use VPNs and DNS tools to obfuscate their location and IP address. ISIS seems to have offered an Internet hunting license for every unbalanced, violent young man who happens to be a Muslim to go out and slay his neighbors. This has produced a spate of attacks in recent weeks, primarily in France and Germany, utilizing low-tech methods—an axe, a knife, a truck—that are extremely difficult to stop. The worst of these was the truck rampage in Nice that killed 84 people. But there is something especially horrific about a couple of fanatics slitting the throat of a beloved and elderly French parish priest–the Rev. 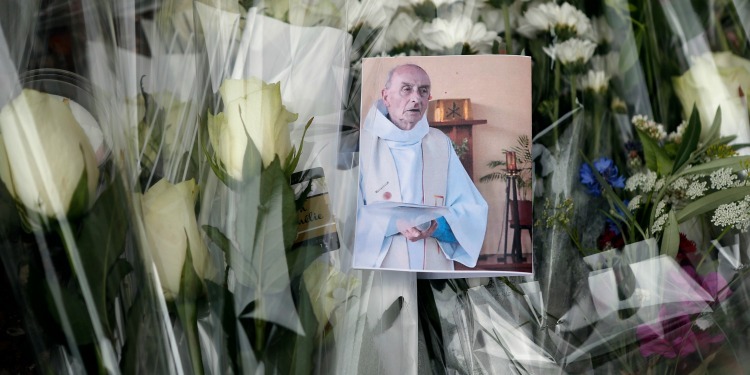 Jacques Hamel–who had devoted his life to his flock. That is an outrage that breaks through the numbness induced by the nonstop stream of terrorism. It is not the deadliest attack but in some ways it is the most shocking. The whole world joins France in grief. The response has to be two-fold: to step up domestic security and intelligence gathering while increasing efforts to demolish the Islamic State. Ending the Islamic State will not end the terrorist threat but will take away some of its ideological appeal; even suicide bombers don’t like to die in a losing cause. As for domestic security: The gaps are obvious when one of the priest-killers in France had been detained for 10 months after twice trying to travel to Syria and then had been confined to partial home detention. He was supposed to wear an electronic monitor and only go out during certain hours of the day. Unfortunately he chose one of those hours to murder Rev. Hamel. It’s obvious that the judge overseeing this case made a tragic mistake–one that the French legal system must be careful not to repeat in the future. For all of President Hollande’s talk of going to “war” against ISIS following the attacks in Paris, France still has a long way to go in its response. Political correctness, cultural relativism and moral cowardice can’t protect us from militant Islamists. From the Iranian hostage crisis in 1979 to the recent wave of terrorist attacks in Paris, San Bernardino, Brussels, Istanbul, Orlando and now Nice, the United States and much of the democratic world has experienced attacks committed by Islamist terrorists. And as we have seen so many times in recent years, politicians on both the left and the right are either unable or unwilling to conceptualize a legitimate response to the problem. On the right, many Republicans have shown that they understand neither the U.S. Constitution nor American values. From Ben Carson arguing that a Muslim should not be president, to Jeb Bush claiming that only Syrian Christians should be allowed into the country, to presumptive Republican nominee Donald Trump demanding a wholesale ban on Muslims crossing our borders, to Newt Gingrich demanding that Muslims in the United States be tested on whether they believe in sharia, many prominent Republicans seem unaware of—or unconcerned with—the very values and principles this country is supposed to represent. Unfortunately, one would be just as hard-pressed to find a politician on the left who has spoken with consistent moral clarity and intelligence about this problem. What we see instead from the Obama administration and Hillary Clinton’s presidential election campaign is the belief that a carefully calibrated strategy of political correctness, cultural relativism and moral cowardice can protect us from militant Islamists. And in the absence of honesty about the nature of the problem, it is easy to see why average citizens would be confused and turn to demagogues for answers and leadership. Eurosceptic rhetoric among Hungary, Poland and other Central Europe EU newcomers belies strong attachments. Anti-immigration leaders may applaud the victory in Britain favoring exit from the European Union, but many in Central Europe will regret a weakening European Union. Despite dislike for some EU policies, leaders in Hungary, Poland and Czech Republic remain too dependent on the union to wish for its demise. The implementation of Iran’s nuclear deal with the P5+1 group of countries, which is known as the Joint Comprehensive Plan of Action (JCPOA), and removal of sanctions imposed on Iran is an issue, which will affect Iran’s relations with many states. As a result, economic relations between Iran and the Russian Federation have been offered with many new opportunities in post-JCPOA era and the deal will be an end to an eight-year period in which trade exchanges between the two countries were in decline. The following article focuses on this issue and argues how these new opportunities can be taken advantage of to meet the national interests of the country under conditions that have come about following the implementation of the JCPOA. Following the implosion of the former Soviet Union, economic relations between Iran and Russia soared from about USD 400 million in 1991 to about USD 4-4.5 billion in the 2000s and this figure continued until 2007. However, following adoption of sanctions against Iran by the United Nations Security Council, the aforesaid figure started to fall and reached about USD one billion between 2008 and 2013. This situation was mostly a result of the policy adopted by the government of the former Russian president, Dmitri Medvedev between 2007 and 2010. According to that policy, Moscow turned toward the West and cooperated with the West in adoption of six sanctions revolutions against Iran. Russians also followed suit with all kinds of sanctions against Iran from withholding delivery of S-300 missile defense system to implementing monetary and banking sanctions against Iran as a result of which Tehran had problems even for paying monthly salary of the Islamic Republic of Iran’s embassy staff in Moscow through Russian banks. Social media has brought some hope of having a democracy in the news space. Trolls from many big media outlets are routinely exposed on Twitter. It would be naïve to think that the cabal that had a near monopoly over content will facilitate a smoother transition towards democracy. The fissures have been exposed, yet again, in Munich. The fissures in our society, in our discourse. As the Munich tragedy unfolded, I was following the reactions on social media. There was but one glaring sight— apathy. One group wanted the perpetrators to be Muslim. Another group wanted them to be white men. The objective, for either group was clear. How do we fit this into the narrative that they are building? The victims were, after all, dead. But those of us who are fortunate to be alive must fight the political battles, it seems. The question I often ask is, why and how did it come to this? Was it always this way? And where do we go from here? When it comes to the commentary regarding social media and its impact, the idea that is gaining popularity is “increased polarisation”. In recent times, we have arguably moved to a phase where there seems to be irreconcilable differences between people. The chasm in peoples’ views over religion, economic policy and national security is growing. And, if we are to believe the countless articles that have sprung up, the internet, in general, and social media, in particular, are to blame. One is more to do with the evidence we have so far. That is, is it true that polarisation is increasing? On July 24 in Ansbach, Germany, a 27-year-old refugee from Syria detonated a bomb concealed in his backpack, injuring several bystanders and killing himself. His intended target appears to have been a nearby music festival, but he didn't have a ticket and was denied entry. Instead he detonated his device outside a bar near the festival. The attack was the first suicide bombing in Germany, albeit a poorly executed one. German authorities have confirmed the attacker had recorded a video pledge of allegiance to the Islamic State. The jihadist group's Amaq news agency was quick to adopt the assault, calling the bomber a "soldier" who had responded to calls for attacks against citizens of countries in the coalition fighting the Islamic State. In other words, the attacker was a grassroots jihadist operating under the leaderless resistance model and was not dispatched to Germany by the Islamic State core. Many have scoffed at the attacker's poor bombmaking and lack of operational skills. But those are not unusual traits in cases involving grassroots attackers, who frequently are more like stray mutts than lone wolves. It does not take much skill to kill people, however, and in recent days, grassroots jihadists in Europe have conducted a number of simple attacks using rudimentary weapons - an ax, a truck, knives and this poorly made bomb. These incidents serve as timely reminders that even poorly trained terrorists can be deadly. Though called "non-governmental," NGOs often receive significant government funding and may pursue political agendas. Non-governmental organization (NGO) is often a misleading label. Over the past several decades, a new phenomenon – government-backed NGOs – has emerged. These groups are formally independent from governments, but in reality rely on government support and funding, domestic or foreign. Civil society is a sphere that, by definition, is outside the scope of government. Following a trip to America in the early 1830s, Alexis de Tocqueville – much impressed with American civil society – wrote in his work “Democracy in America” that “wherever at the head of some new undertaking you see the government in France, or a man of rank in England, in the United States you will be sure to find an association.” Thinkers like Tocqueville valued and advocated for the separation of private life from the public and the ability to organize outside the framework of the state. Civil society includes everything from business associations to Girl Scouts, charities and bowling leagues. These are forms of organizing, both political and non-political, where the government plays no role. Within civil society, there is a subgroup generally referred to as non-governmental organizations (NGOs). These groups are non-profit entities that provide services, conduct research or perform advocacy work. As their name suggests, in theory these groups are firmly grounded in civil society, have no relationship to government and are often regarded as a check on government. Berlin is trying to enforce the bloc’s rules while also maintaining cohesion between its members. German newspaper Handelsblatt ran the following headline on July 28: “Deficit Delinquency: Schäuble Lets Spain, Portugal Off the Hook.” A day earlier, the European Commission formally recommended that Spain and Portugal not be fined for violating European Union deficit rules. Last year, Spain and Portugal’s budget deficits reached 5.1 percent and 4.4 percent of GDP, respectively. EU rules, however, mandate that countries bring their deficits down to below 3 percent of GDP. Countries in violation of these rules face fines of up to 0.2 percent of GDP – a hefty price for countries already struggling with double-digit unemployment and sluggish growth. This short headline highlights both the power dynamics in Europe andGermany’s deep political dilemma. The reference to German Finance Minister Wolfgang Schäuble reveals Berlin’s continued central role in shaping key EU-level decisions. The formal recommendation not to levy fines on Spain and Portugal came from the European Commission, which was originally divided on the matter. Some members, like Commissioner for Economic Affairs Pierre Moscovici (from France), opposed fines. But others – including European Commission President Jean-Claude Juncker, Vice President for the Euro and Social Dialogue Valdis Dombrovskis (from Latvia) and Vice President for Jobs, Growth and Investment Jyrki Katainen (from Finland) – advocated that at least a symbolic fine be levied. Nevertheless, in the hours before the commissioners’ meeting, some commissioners’ phones reportedly began ringing. The caller was Schäuble, urging the commissioners to change their minds. And faced with this pressure from Berlin, they did. Dealing with North Korea brings to mind Sisyphus, the mythological Greek king condemned for eternity to roll a stone up a hill, only to watch it roll back down. Whatever the U.S. does, Kim Jong-un again will fire missiles, test nukes, and threaten to lay waste to his enemies. There are many, of course. No political rights. No civil liberties. No freedom of speech. No religious liberty. Brutal detention camps. And the notorious Songbun system of social classification. 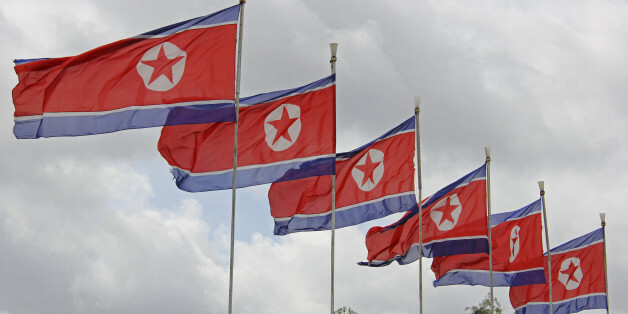 The so-called Democratic People’s Republic of Korea ain’t a nice place for anyone other than the Kim family and friends. Now any property owned by Kim and ten of his top officials in the U.S. will be frozen. And Americans will be prohibited from doing business with them. The administration predicted that the impact from its action would ripple around the globe, making it harder for those named to bank overseas. The sanctions might even dissuade subordinates from carrying out Kim’s orders lest they, too, end up on Washington’s blacklist. “Lifting the anonymity of these functionaries may make them think twice from time to time when considering a particular act of cruelty,” one anonymous Obama aide told CNN. Navy Ohio Replacement Sub Class to Be Named for D.C. The Navy’s new planned class of ballistic missile submarines will be named in honor of the District of Columbia, two Navy officials confirmed to USNI News on Thursday. According to a notification memo to Congress obtained by USNI News, the first ship in the next planned class of Navy nuclear ballistic missile submarines (SSBN(X))– also known as the Ohio replacement program — will be named USS Columbia. Secretary of the Navy Ray Mabus’ office is not releasing further information until the naming announcement, one Navy official told USNI News. While the name Columbia for a U.S. ships and aircraft is not new – at least eight U.S. ships, a Space Shuttle and the Apollo 11 command module have all shared the name – it will be the first time the name has been used to commemorate the U.S. capital, the sources told USNI News. The fleet’s current USS Columbia (SSN-771) – a Los Angeles attack submarine – is named in honor of Columbia, S.C., Columbia, Ill and Columbia, Mo. The submarine is expected to decommission before the first SSBN(X) enters service.